So it kinda sounds like whatever new modularity is available will be accessed thru an expanded ModMatrix, and the basic flow of the synth's design will remain much like it has been. It's actually the same kind of modularity it already has. We're just adding a wider palette of options to it, and Sample & Hold on each "cable". And Grizzellda might say that a "wider palette of options" could be viewed as "expanded"! Hey...I didn't mean "bigger" in a GUI sense, we will know what it looks like when they actually release the instrument. Not gonna speculate. I was thinking in terms of new modulation options and how stuff would be routed... because all that new info Urs wrote a few pages back, (the video text stuff) impressed me...quite some features to consider. 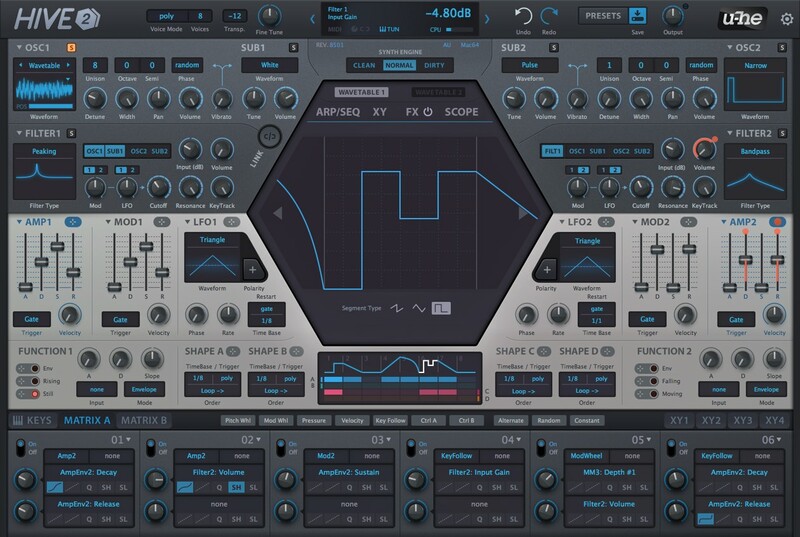 And with the addition of wavetables, I surely feel Hive has been "somewhat expanded". Quick question, what is currently the method for random preset generation in Hive? h2p scripting, which can be a bit buggy. Hey, Urs. Thanks for taking time and responding to our questions here at KVR. I have been spending a past few months learning Zebra 2.8 and it has made me quite the U-he fanboy. Keep up the great work. Still a bit of work ahead, little colour corrections, a few pixels or highlights here and there. Looks great, and I'm really looking forward to the update! Oh, that's probably because this page still has some space for extra elements. looks damn tasty, both in design- as well as feature set wise! Last edited by FapFilter on Fri Apr 12, 2019 5:32 am, edited 1 time in total.